The holidays are over and now it’s time to start preparing for the loveliest day of the year. Of course, I am talking about Valentine’s Day. It’s just filled of love, romance, and fun. 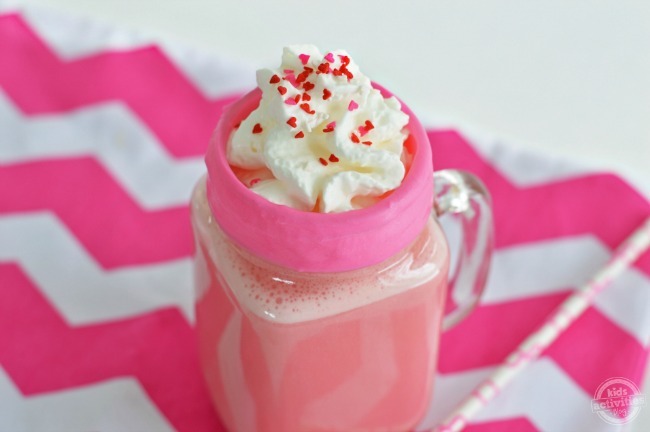 So we thought it’d be a perfect time to partner up with Reddi-wip to bring you a delicious Strawberry Hot Chocolate recipe that is perfect for the love holiday. When I think about Valentine’s Day, I think about sharing the day with the one’s you love. That is why we are excited to be part of the Redd-wip #ShareTheJoy campaign which is all about spreading and sharing the joy you feel with those around you. That is something you can certainly do on Valentine’s Day! Cut off the stems of the strawberries and place them into a bowl. 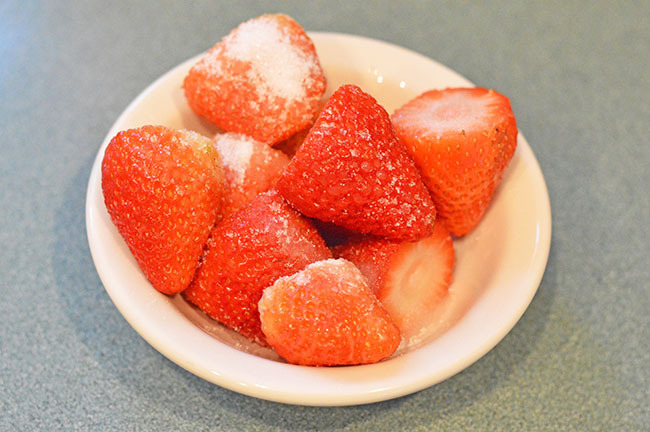 Sprinkle the granulated sugar over the strawberries and set aside. 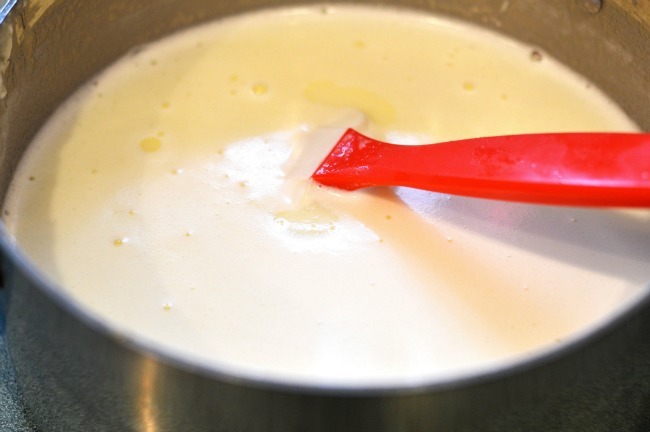 In a saucepan, heat up the milk and white chocolate chips over medium heat. You want to achieve a simmer and not a rolling boil. Stir constantly until all the chocolate is melted then remove from heat. 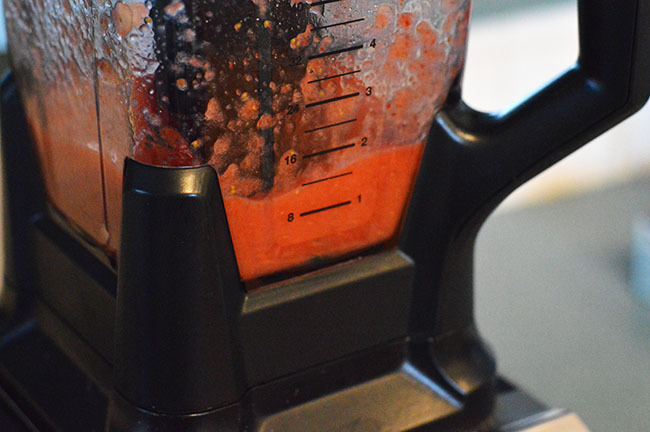 In a blender, blend the strawberries until they are a soup-like consistency. Pour the strawberry puree into the white chocolate mixture and mix well. Add the red food coloring and stir well. 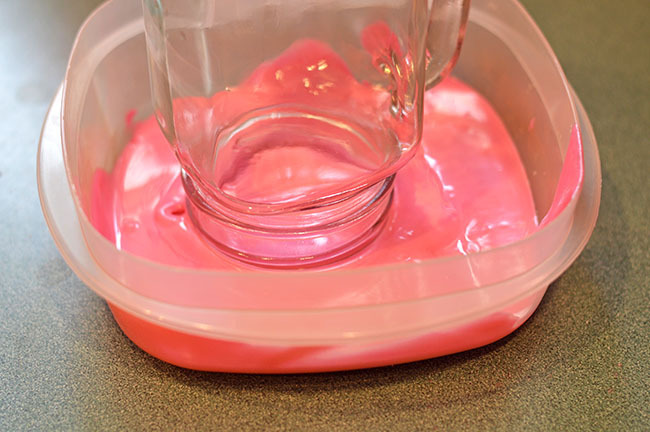 This is optional but does help achieve a deeper pink color. Melt the pink melting chocolate in the microwave (follow the directions on the package to melt). 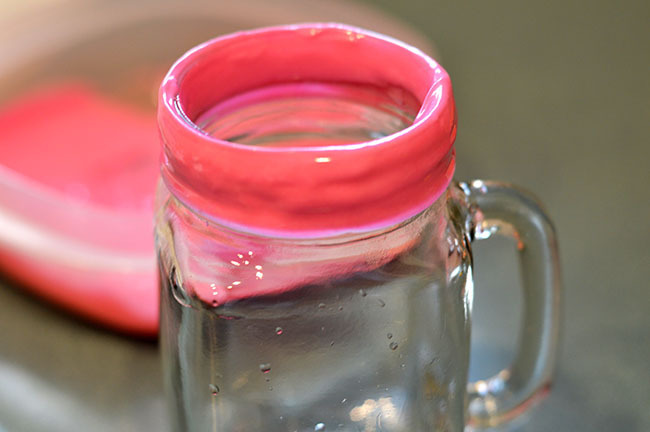 Tip your glass upside down in the pink melting chocolate and cover the rim of the glass. Allow to harden for several minutes. 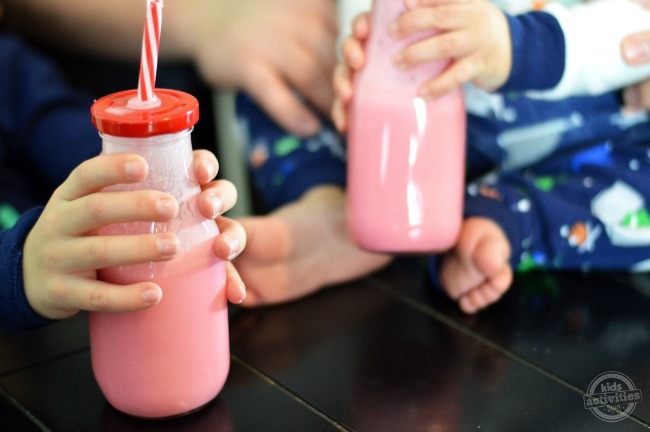 Tip: You can speed up the process by placing the glass into the fridge or freezer. 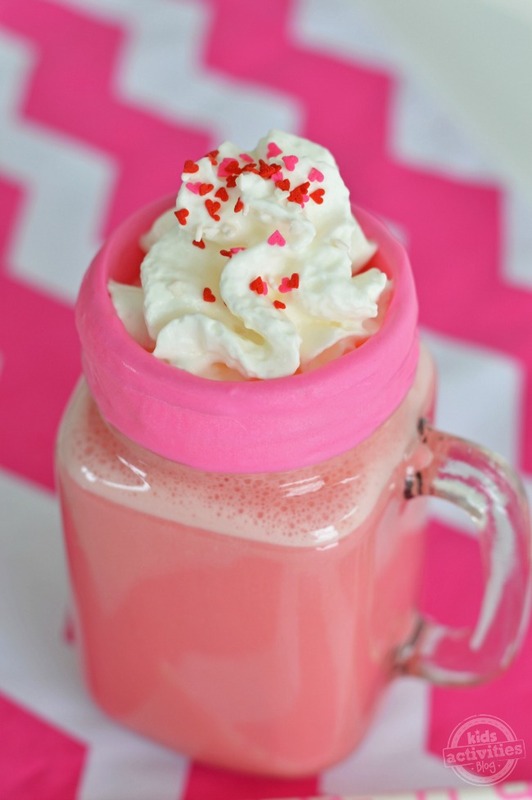 Pour the strawberry hot chocolate into the glass. Top off with Reddi-wip and some cute heart sprinkles. Laughing, playing, tasting, seeing, and enjoy the good things in life are all great examples of ways we use our senses each and every day. Those things are even better when shared. So we are on a mission to share joy with those around us and since joy is sensorial, we will spread joy with things that heighten our senses. 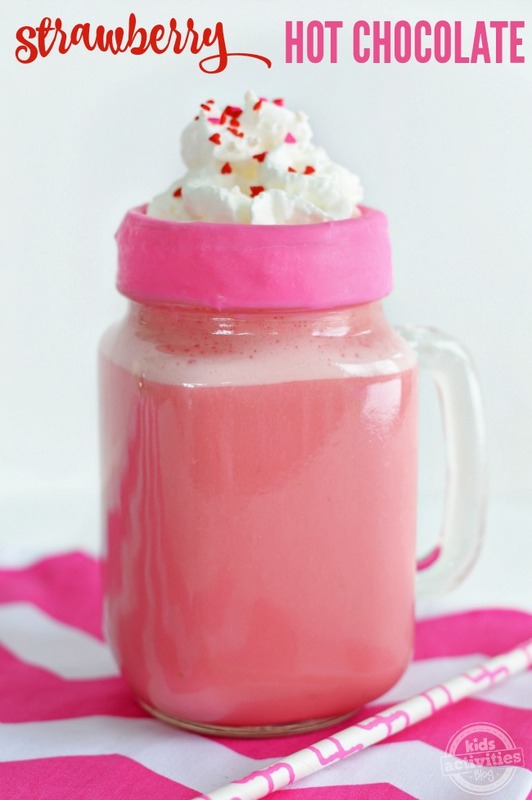 For today, that is this delicious drink! With Valentine’s Day approaching I thought this would make a great treat to share with my boys. 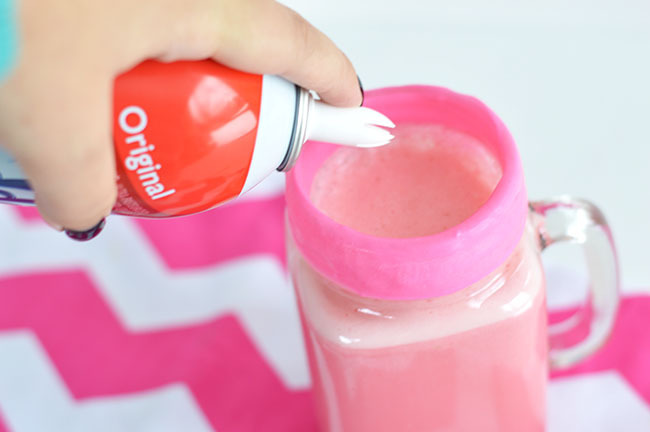 I even found some adorable milk bottles with lids to present it in a fun way. My youngest son took to it right away! 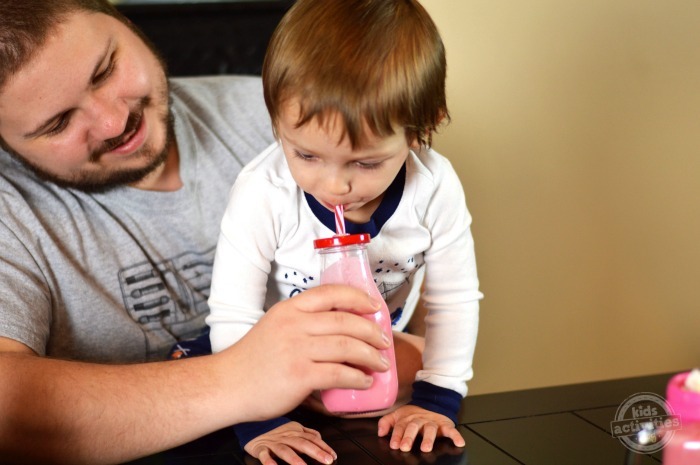 Want to learn more about how you can spread and #ShareTheJoy with Reddi-wip? Visit the Reddi-wip website and follow them socially on: Facebook, Twitter, Instagram, and Pinterest. Don’t forget to share your joy with your friends, family, neighbors, co-workers, and anyone that impacts your life in some way!